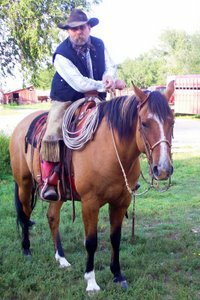 Check in here for updates on new saddles, new colts and new grandkids! South east wind picking up this afternoon, made it a bit chilly, but still a nice day. Good things come to those who wait, so I am sure by the time that house is finished it will be well worth it! Can’t wait to see it all finished.